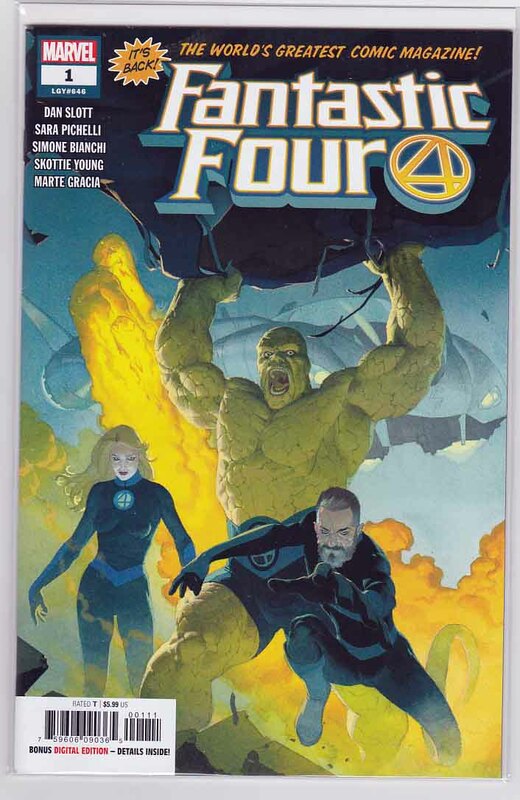 Fantastic Four #1 (2018) Esad Ribic Cover & Sara Pichelli Pencils, Dan Slott Story "Fourever", part one Since the end of SECRET WARS, there's been a gap in the Marvel Universe. A void no other team can fill. And it's time for the world to move on. But can it? A life-changing decision by the Thing! A momentous declaration by the Human Torch! A clarion call-to-arms that summons Doctor Doom! And a signal in the sky that heralds the return of hope to the Marvel Universe! All this, and Alicia Masters adopts kittens! So cute! Plus, the Impossible Man! Fantastic Four #1 (2018) Variant Stanley Artgerm Lau Thing Cover & Sara Pichelli Pencils, Dan Slott Story "Fourever", part one Since the end of SECRET WARS, there's been a gap in the Marvel Universe. A void no other team can fill. And it's time for the world to move on. But can it? A life-changing decision by the Thing! A momentous declaration by the Human Torch! A clarion call-to-arms that summons Doctor Doom! And a signal in the sky that heralds the return of hope to the Marvel Universe! All this, and Alicia Masters adopts kittens! So cute! Plus, the Impossible Man! Fantastic Four #3 (2018) Variant Jong-Ju Kim Marvel Battle Lines Cover & Sara Pichelli Pencils, Dan Slott Story FREE-4-ALL! The Fantastic Four is more than a team. It's a family. And when the fate of the very Multiverse is at stake, that means it's time for the ENTIRE family to have a reunion. Everything you've been waiting for? It's in THIS issue. Guest-starring: Spider-Man, Wolverine, the Hulk, Ghost Rider, Medusa, Crystal, Luke Cage and MORE. 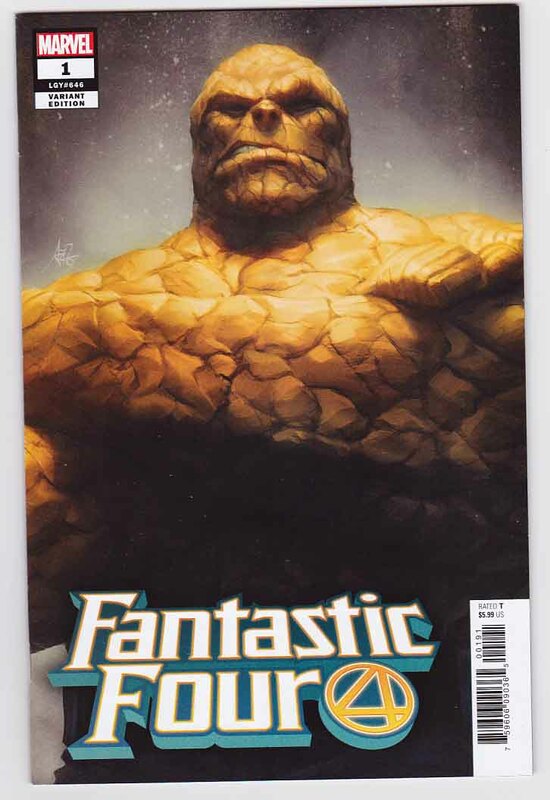 Fantastic Four #5 (2019) Stan Lee Memorial Esad Ribic Cover & Aaron Kuder Pencils, Dan Slott Story, SPECIAL 650th ISSUE SPECTACULAR! Alicia Grimm (First appearance as Alicia Grimm) The wedding that's been years in the making...Ben and Alicia say "I do! "No bait. No switch. Not a dream. Not a hoax. 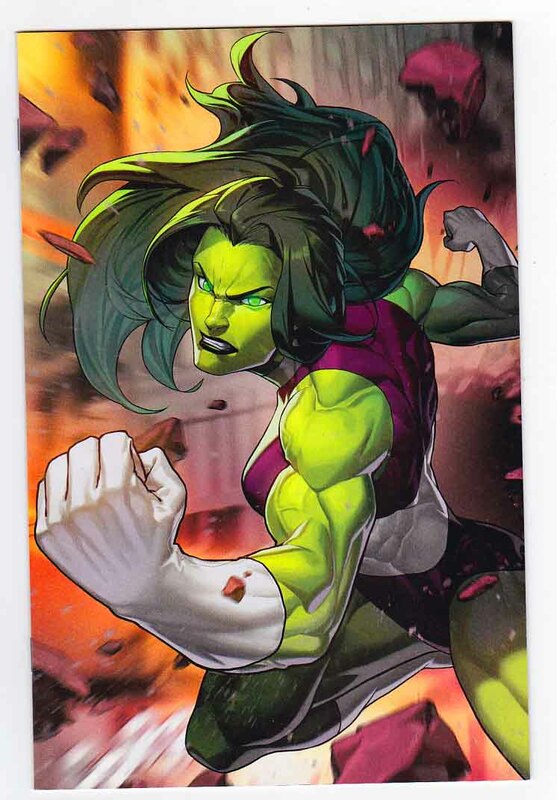 And we swear, not a single Skrull around. This is really happening! 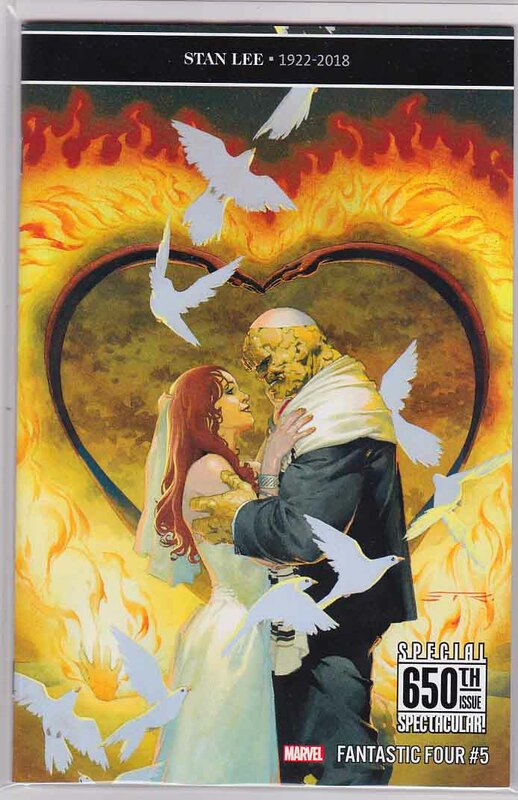 From the book that brought you the first, best and longest running super hero marriage in comics, we give you...the wedding of Ben Grimm and Alicia Masters! Featuring an untold tale of the courtship of Ben and Alicia. A bachelor party that only Johnny Storm could throw. And a very special ceremony brought to you in the Mighty Marvel Manner. 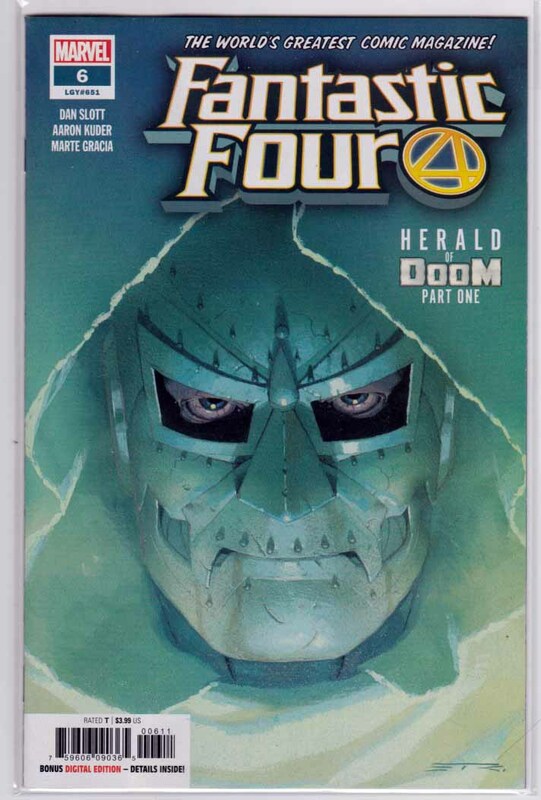 Fantastic Four #6 (2019) Esad Ribic Cover & Aaron Kuder Pencils, First Appearance of VICTORIOUS! HERALD OF DOOM! GALACTUS HAS RETURNED TO DEVOUR THE EARTH......and only one man can save us: DOCTOR DOOM! And where is that agitator, Reed Richards and his meddlesome family? What are they doing? They're locked in battle against the brave new hero of the Latverian people, VICTORIOUS!